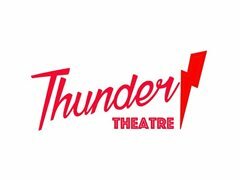 Thunder Theatre is a project that wants to put professionals together and showcase talent. It's about feeling part of a community and giving opportunities to actors and writers to be seen. It's about breaking the traditional conceptions of what theatre is, and make it our own thing. The play should last between 15 and 20 minutes. - the title of the play. - name, phone and e-mail of the playwright. - names and roles of the actors. *Script format! (NOT a summary, ideas, stand-up… we want THEATRE). AT THE MOMENT WE ONLY ACCEPT PROPOSALS THAT ALREADY HAVE A CAST. WE HAVE IN-HOUSE DIRECTION AND A SET DESIGN. PLEASE NOTE THAT WE DO NOT ACCEPT ACTORS CVs INDEPENDENTLY. The author must have the absolute rights of intellectual property, either in its original version or adaptation. Plays must be original and without prior performances in London. Please, include in the email links to Spotlights, showreels and CVs of the actors and directors. Texts should be sent in Word or PDF format. We will advertise the project through our venue's social media and ours, and your headshots and bios will be everywhere. We'll kick off in April. Thunder Theatre is an ongoing opportunity, it doesn't have an ending date.